Open your heart and donate to Lighthouse for the Blind of the Palm Beaches. Think of it as a down payment on someone’s future. Making a monetary donation to Lighthouse for the Blind of the Palm Beaches makes you an exclusive member of a group of supporters who want to back our mission to assist persons with visual impairments. Your generosity will be confirmed with a receipt emailed to you detailing your generous contribution. Thank you for considering a donation to Lighthouse of the Bind of the Palm Beaches! When you choose to make a financial donation to the Lighthouse, your dollars stay here and work here in our community. Lighthouse for the Blind of the Palm Beaches has partnered with Community Foundation for Palm Beach and Martin Counties, a leader in community philanthropic support since 1972. To make a tax-deductible gift to the Lighthouse through the Community Foundation, please visit the Lighthouse for the Blind of the Palm Beaches Endowment Fund page. You can donate directly through an outright gift (cash, securities, personal property, real estate) or deferred gift (wills, bequests, retirement assets, living or lead trusts, life insurance, donor-advised fund). If you have questions about the Lighthouse for the Blind of the Palm Beaches Endowment Fund, please contact Vice President of Marketing and Development Brian Edwards at (561) 848-7200, ext. 3250, or bedwards@gulfstreamgoodwill.org. A COPY OF THE OFFICIAL REGISTRATION AND FINANCIAL INFORMATION FOR THE LIGHTHOUSE FOR THE BLIND OF THE PALM BEACHES, INC., A FLORIDA BASED NONPROFIT (REGISTRATION NO. CH77), MAY BE OBTAINED FROM THE DIVISION OF CONSUMER SERVICES BY CALLING TOLL FREE 1-800-HELP-FLA (435-7352) WITHIN THE STATE OR VISITING AT [www.freshfromflorida.com or https://csapp.800helpfla.com/cspublicapp/giftgiversquery/giftgiversquery.aspx.] REGISTRATION DOES NOT IMPLY ENDORSEMENT, APPROVAL, OR RECOMMENDATION BY THE STATE. 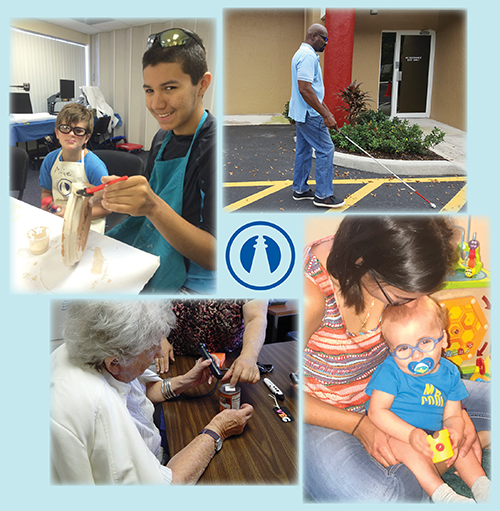 THE LIGHTHOUSE FOR THE BLIND OF THE PALM BEACHES, INC. RECEIVES 100% OF EACH CONTRIBUTION.